£39 (from Simplify Watches) for a Simplify 2400 unisex watch – choose from seven designs + DELIVERY IS INCLUDED! 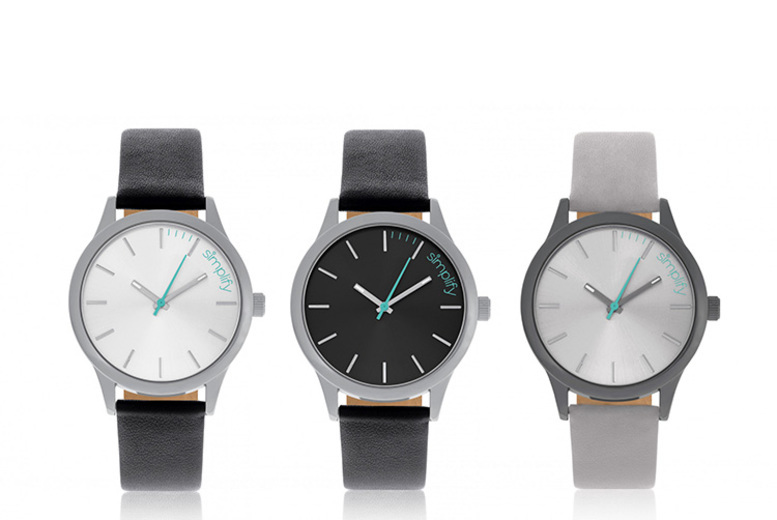 Get a stylish unisex watch from Simplify. Choose from seven beautifully simple designs. Each with luminous hands housed in a stainless steel case. Finished off with a genuine leather strap. Water resistant to up to 30m. £129 (from ResultCo) for a ladies automatic Empress crystal watch – DELIVERY IS INCLUDED! 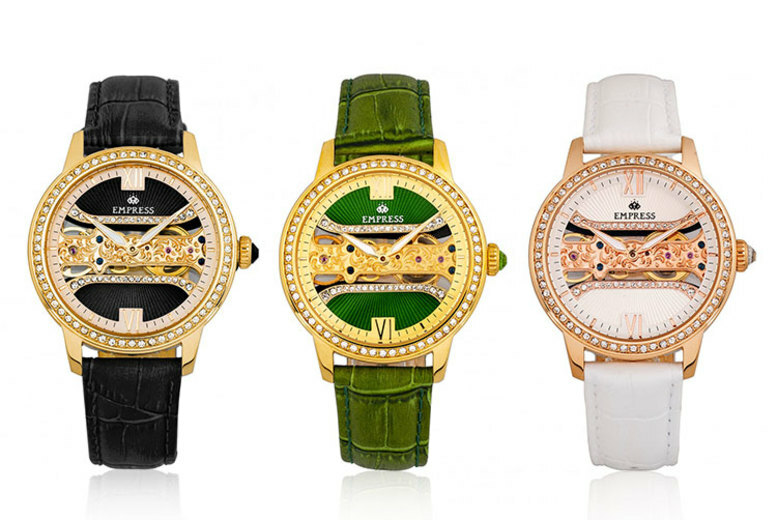 Get a ladies automatic Empress watch. Beautifully adorned with stunning mineral crystals. 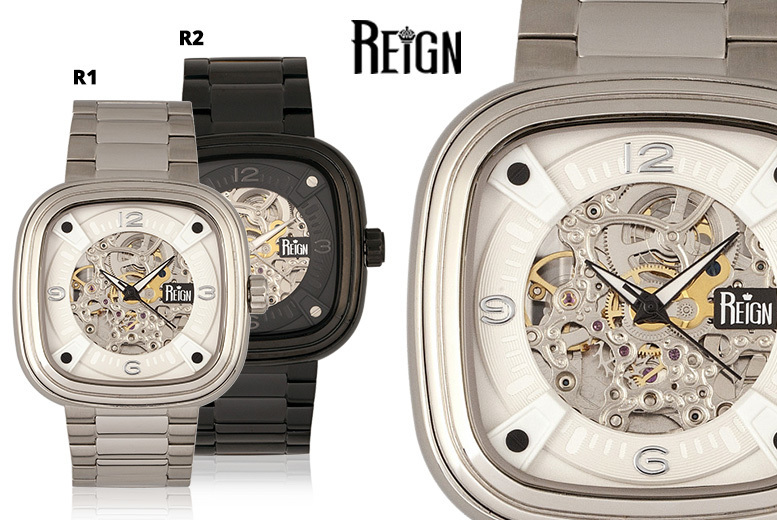 Features a demi-skeleton dial for a unique aesthetic. Comes in six colours for you to choose from (see full list below). Self-winding mechanical movement and 24h power reserve. Deal bonus: delivery is included! 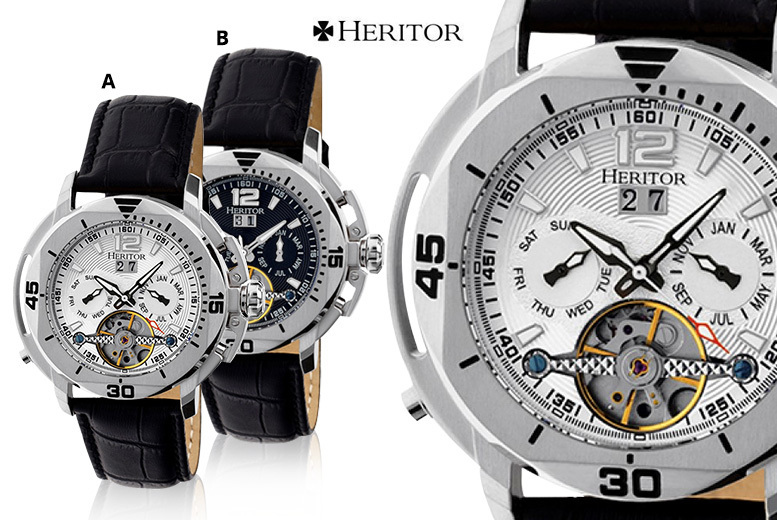 Get a designer mens Heritor watch. Choose from 6 gorgeous designs (see full details). See full details for individual design specifications! £139 instead of £960 (from Heritor Watches) for a Heritor automatic ‘Kingsley’ watch – choose from four designs and save 86% + DELIVERY IS INCLUDED! Get a Heritor automatic ‘Kingsley’ watch. Valid in four stylish designs (see full details). Featuring a stainless steel 46mm case. 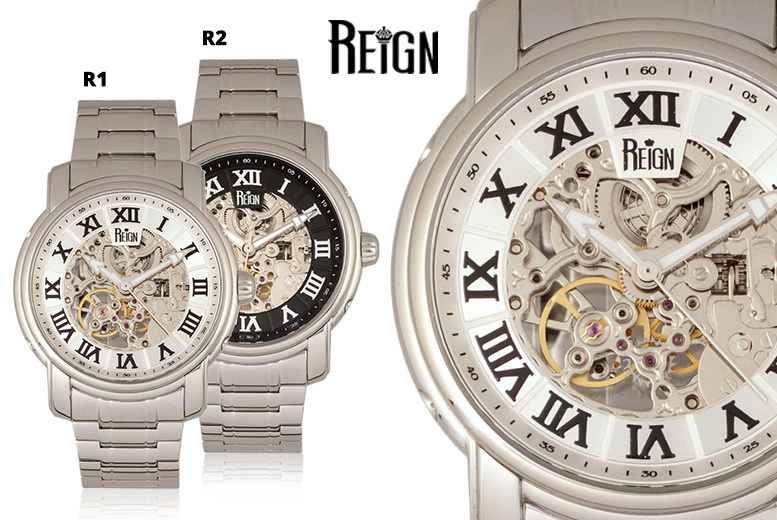 With a jewelled automatic movement and classic engraved dial with three subdials! Elegant genuine leather croc-effect strap with clasp. £129 instead of £1000 (from Reign Watches) for a men’s luxury automatic ‘Nero’ watch – choose from six designs and save 87% + DELIVERY IS INCLUDED! Get a luxury men’s watch from the ‘Nero’ collection! Choose from six elegant designs. 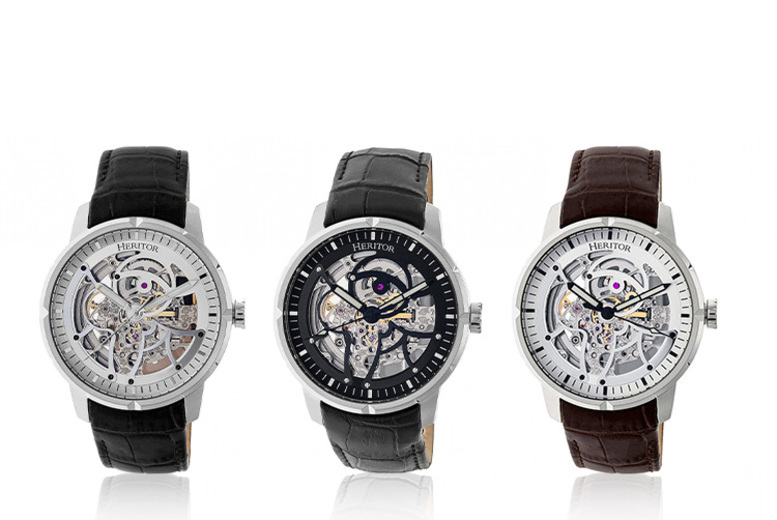 Each watch includes luminous hands and an intricate skeleton dial. With a stainless steel case and a genuine leather strap. £129 instead of £1080 (from Reign Watches) for a men’s luxury ‘Kahn’ automatic watch – save 88% + DELIVERY IS INCLUDED! Get a luxury automatic men’s watch. Choose from six elegant designs! 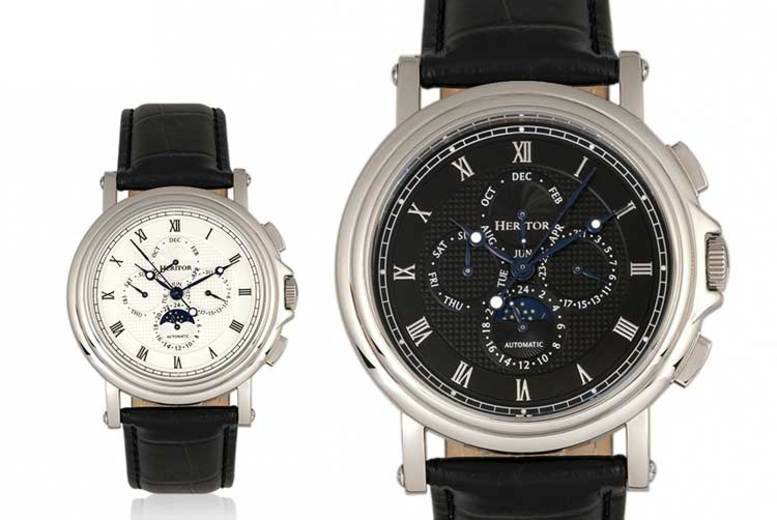 Features a stunning skeleton dial with luminous hands. With a stainless steel case, and a bracelet in either leather or stainless steel. Get a gorgeous new watch! 45mm diameter with semi-skeleton clock face. Including a day and month sub-dial. With a crocodile embossed leather strap.